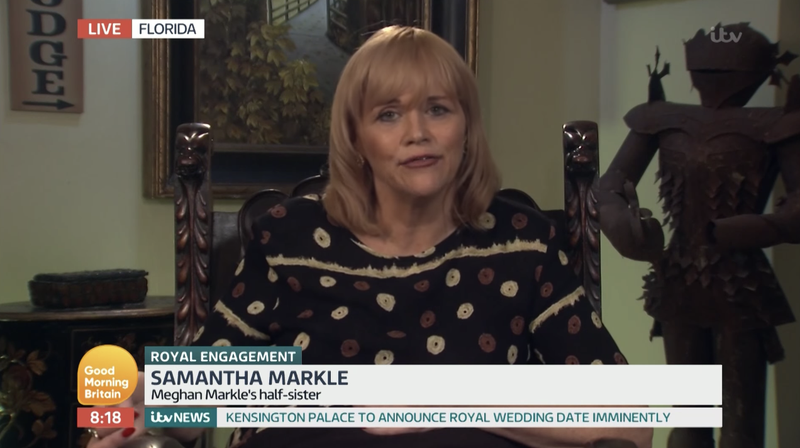 Meghan Markle’s half-sister Samantha Markle (get ready to read those six words at the beginning of every fifth Dirt Bag for the next 12 months) is currently engaged in a one-sided feud with her future half-brother-in-law Henry Charles Albert David, aka Prince Harry, after hearing one of his recent comments about Meghan joining his family. She then promoted her upcoming memoir The Diary of Princess Pushy’s Sister (that’s not a joke), adding, “Excited for my book coming out and wait until you see what our home life was like!” Prince Harry has yet to respond to Samantha’s objections, as I presume Prince Harry has yet to commit her name to memory. Speaking of memories, do you remember in In Her Shoes how Toni Colette tells her fiancé Mark Feuerstein that she will always put her sister Cameron Diaz first and that she would never ever change because her sister is the only thing that makes her make sense? This relationship is the opposite of that. In last night’s Dirt Bag, we mentioned the Kardashians (Kris, Kim, and Rob, specifically) were trying to get a judge to throw out Blac Chyna’s lawsuit in which she claims “the Kardashians were responsible for E! not moving forward with the planned second season of Rob & Chyna,” instead claiming it was Chyna who pounded the final nail in the show’s coffin by filing a “domestic violence restraining order” against Rob in July. Well Chyna is understandably pissed by their claim. Per TMZ, she reportedly “thinks they’re sending a terrible message to women that getting a domestic violence restraining order is a bad thing.” And she’s not wrong! But that didn’t prevent TMZ from letting a “Kardashian source” (aka someone whose name probably rhymes with Chris) from giving their readers both sides. There is a wrinkle. Chyna dropped the restraining order outright after Rob agreed to pay her $20k a month in child support. As one Kardashian source put it — if she really felt threatened she would never have dropped the restraining order. Let’s not forget that time Rob published Chyna’s nudes without her consent. Karolina Kurkova says “nut milk” so many times in this video. Let’s not do this, [Hollywood Life].